One of the characteristics of the final decade of this century is the treatment of information as a commodity. As the world becomes increasingly dominated by information and its technology, in all its facets, librarians must learn to integrate all the new developments into daily practice. 'It is to the extent to which we shall succeed in developing powerful information networks through efficient information transfer that we shall succeed in contributing to the betterment of health throughout our nations'. It is this challenge which medical librarians from some 34 countries set for themselves in convening the Third European Conference of Medical Libraries in Montpellier, France, in September 1992. 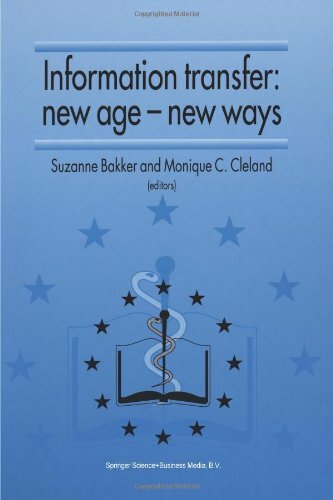 All aspects of medical information were addressed - the technical aspects of transfer, ethical and legal issues, costs, benefits, rights and responsibilities, quality assurance, guidance systems, communications technology, education and training both of information professionals and end-users were discussed and debated in depth in Montpellier. This volume presents an accurate account of a conference which has made a significant contribution to the development of medical librarianship in Europe and the wider world.